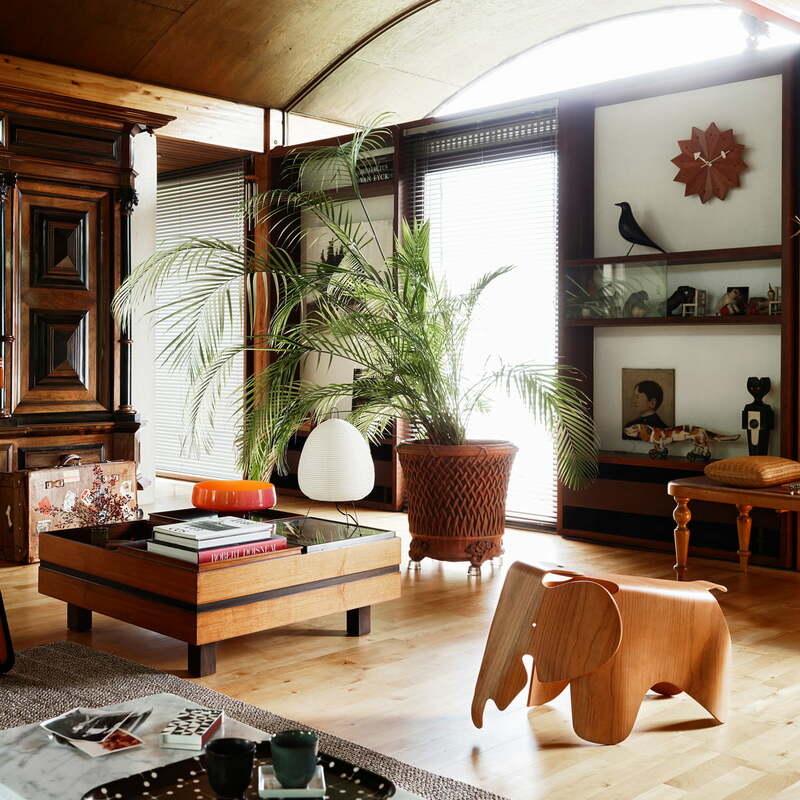 In 1945, Charles and Ray Eames designed the legendary Plywood Elephant. Only two prototypes of this complex design were manufactured, which went directly to an exhibition in the Museum of Modern Art in New York. 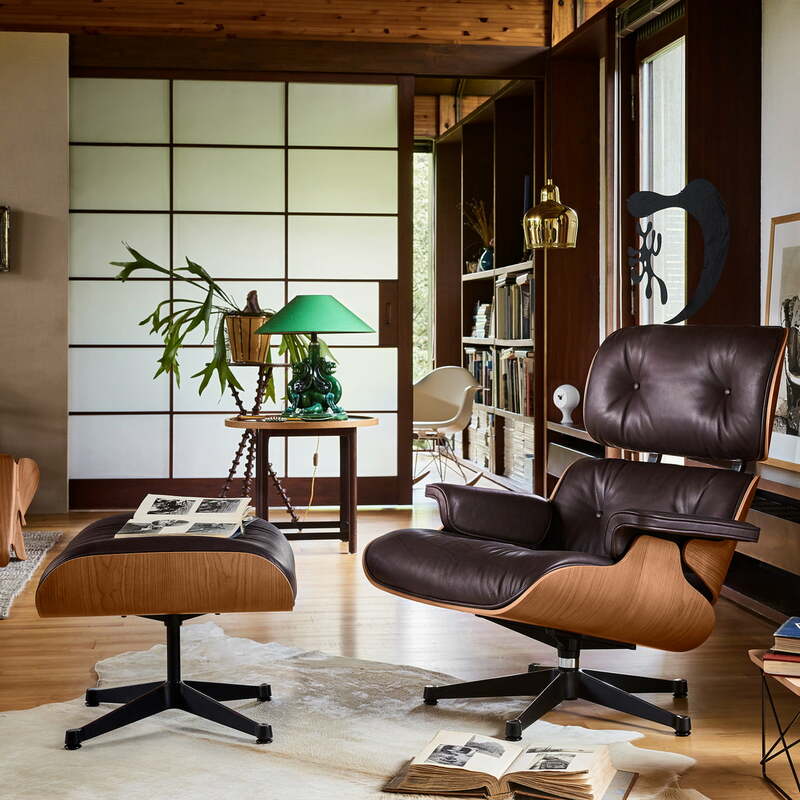 Of the two known prototypes, only one remains in the Eames Family Archives. Charles and Ray Eames were fascinated by elephants. Many images of these gentle giants were found in Charles' photographic documentations of Indian culture and the circus world. The Plywood Elephant was originally designed as a toy for children, but it also a striking sculptural object that makes a statement with its vigorous curves and delightful character. In 2007, Vitra introduced a limited anniversary edition of the Eames Plywood Elephant to celebrate the 100th birthday of Charles Eames. The response was so great that the 2000 copies of this striking sculptural object - designed in 1945 but never produced in series - were immediately sold out. 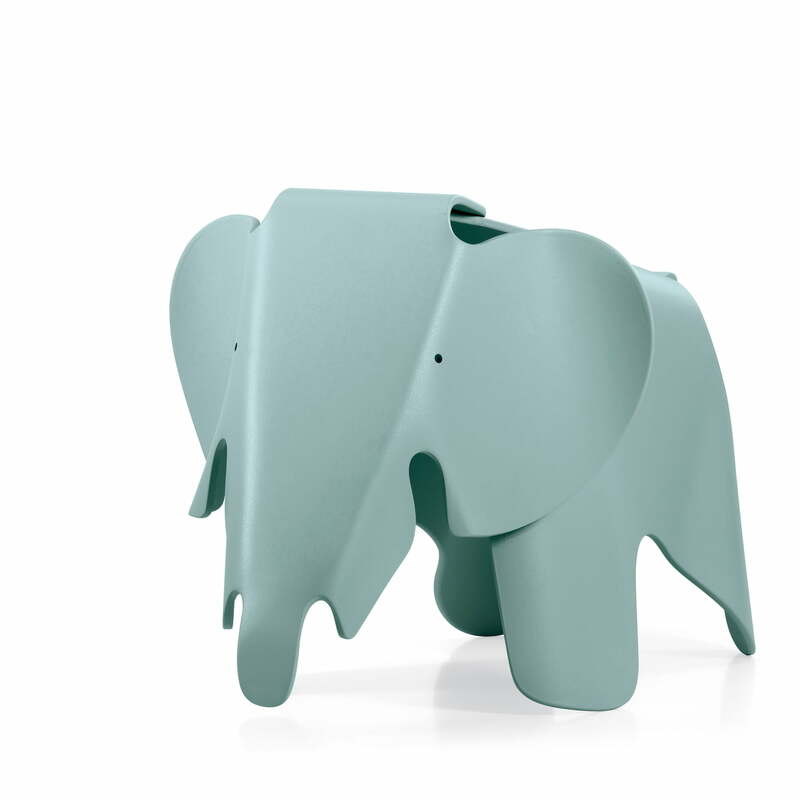 For this reason, Vitra decided to produce a new version for children: the Eames Elephant made of plastic. The change of material still complied with the designer's most important motto: ''The most of the best to the greatest number of people for the least." Charles and Ray Eames used plastic to produce their seats in 1950, being the first designers to use it in order to reach affordable high-quality. Just like the modern plastic shells, the Eames Elephant is also made of polypropylene. It is available in five different colours: red, ice-grey, white, dark lime and light pink. Whether it is used as a toy (also outdoors) or as a decorative item in children's room - this friendly-looking animal with its distinctive, over-sized ears is bound to bring joy to many children and parents. The Eames Elephant is approved according to the GS and CE safety standards. 1 of 1 customers have found this review helpful. Purtroppo è il primo oggetto Vitra che avrei fatto a meno. Oggetto molto delicato e non eccezionale per la qualità. Sono rimasto scottato per il senso di insoddisfazione generale. Oggetto fondamentalmente inutile in tutto e non considerabile neppure bello. 5 of 6 customers have found this review helpful. 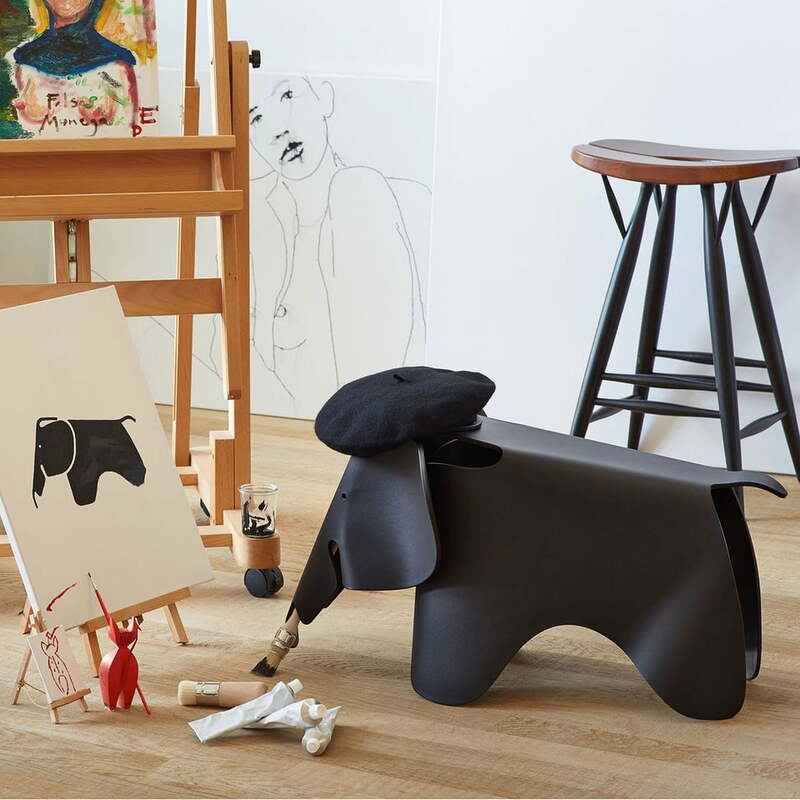 The small version Eames Elephant is so cute and can be suitable for your house decoration. I suggested that you should buy one or two, especially that you have owned the Eames Elephant with normal size. 3 of 4 customers have found this review helpful. This little elephant is a great blue grey colour and build to a high quality. Thanks to the large selection, the Nelson Fan Wall Clock, the Eames Elephant or the Eames House Bird adapt to any environment. An accessory can be found for every taste.